This is the lovely card and ornament which arrived this morning and a smart box, which I have saved for future use, thanks Lynda. That's lovely, thank you Lynda. I think Jo may be right about the words! The card and decoration are both tasteful and delicious... very well done Lynda and well done Karelyn for putting the post up. For me its put it up today or nothing, so Im glad. Thankyou, Di, that's a lovely message and a super card. You're right about the messages in the cards, Jo! 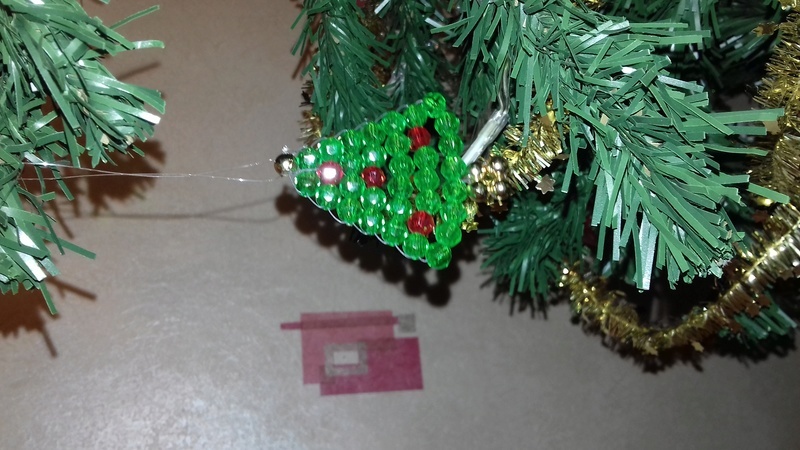 The tree I made looks simple (that's what I thought, being rather behind with everything) but took absolutely ages. 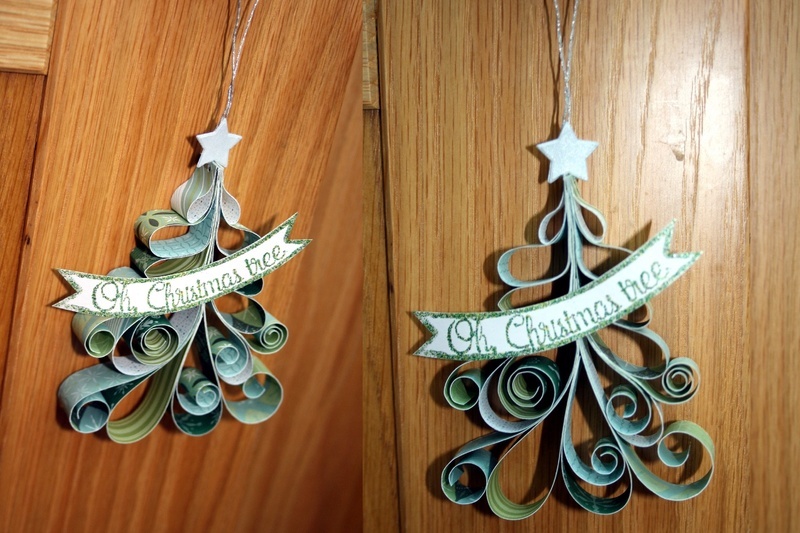 Also think it would have worked with a slightly lighter-weight paper, but I wanted double-sided and this was the collection with all the greens in it. All lovely! That reminds me I have offered to teach our WI quilling at a craft day in January, need to get some practise in! 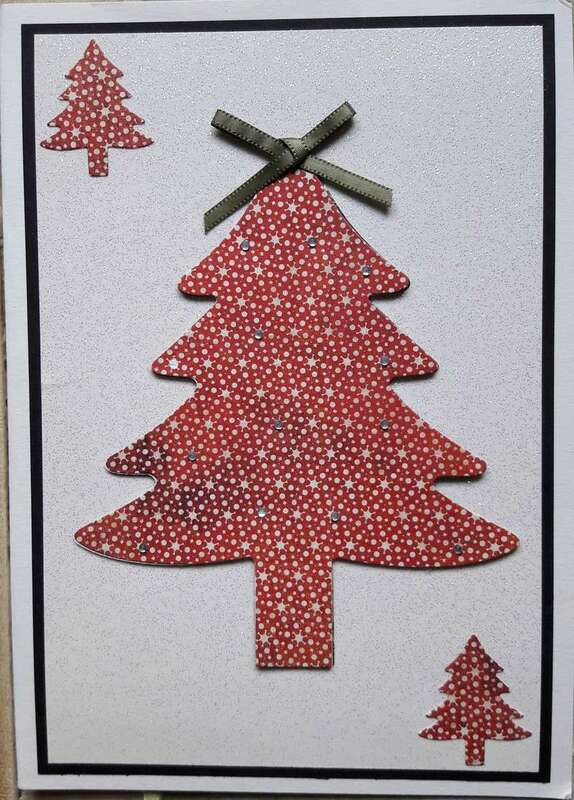 I hope you notice that the tree opens out Maria, three put together to give dimension. Flattened in the post. 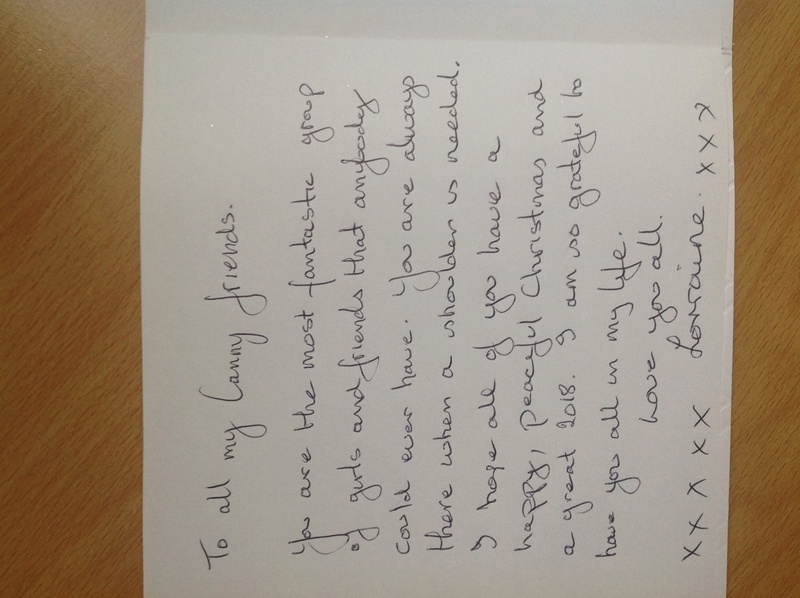 Thankyou, Lorraine, for the lovely sentiments in your card - echoed by us all, I think. Should have said, Jo - ah, realise about the snowflake now! Lynda, did you want me to put a photo on of yours?I don't think I have a photo of the words though. I can scan in the card and the words, Jo, thanks. 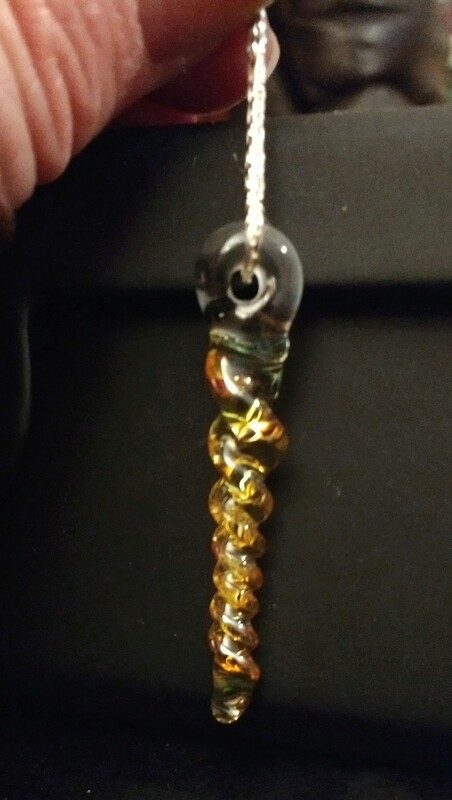 It was really dark here today and I will need to take a 'photo of the ornament, hoping for better weather tomorrow, haha, although it is showing some sun later in the morning. Fingers crossed. Shall I do a gallery or just leave this one? I meant to do it and forgot, so sorry. Lovely cards and words. Thank you. Those trees are super, Linda. 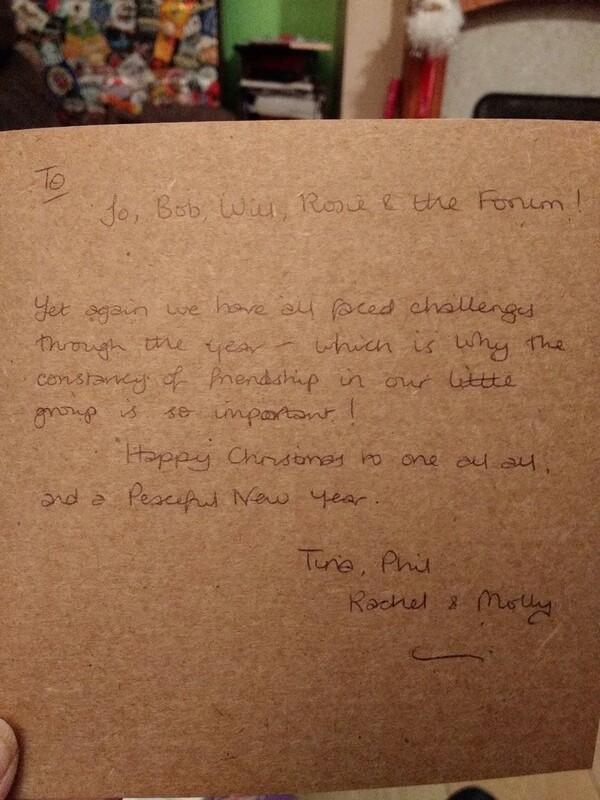 Lovely card and words Tina, thank you. They are all lovely decorations, cards and meaningful words - thankyou. Super cards and lovely ornaments. 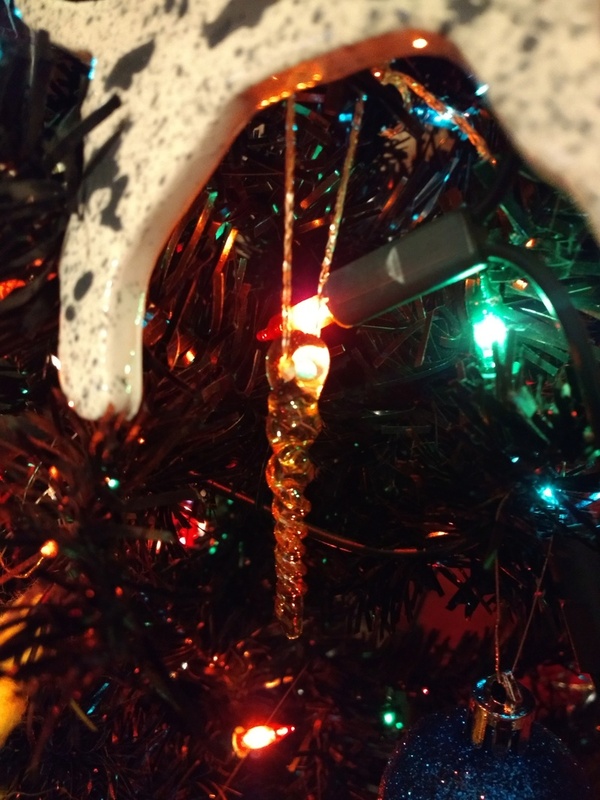 That icicle is something else! 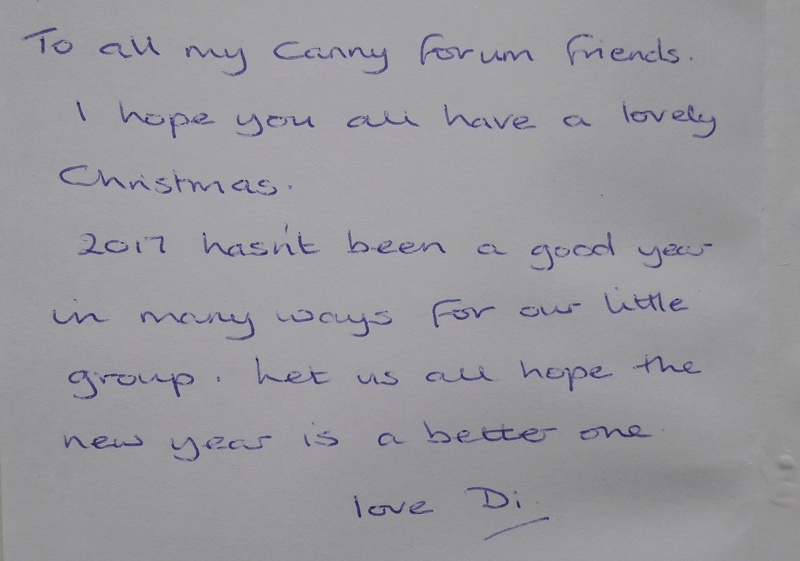 Lorraine, beautiful words, thank you and Tina and Di, the forum does indeed help us all through tough times and we've shared lots of laughs, day to day 'stuff' and high spots too, with a bt of crafting thrown in, can't beat it. If it's easy to do a gallery then it would be nice, to keep the comments in the same threads but would be tricky to move over now I think, there aren't too many more to go up, possibly best left? 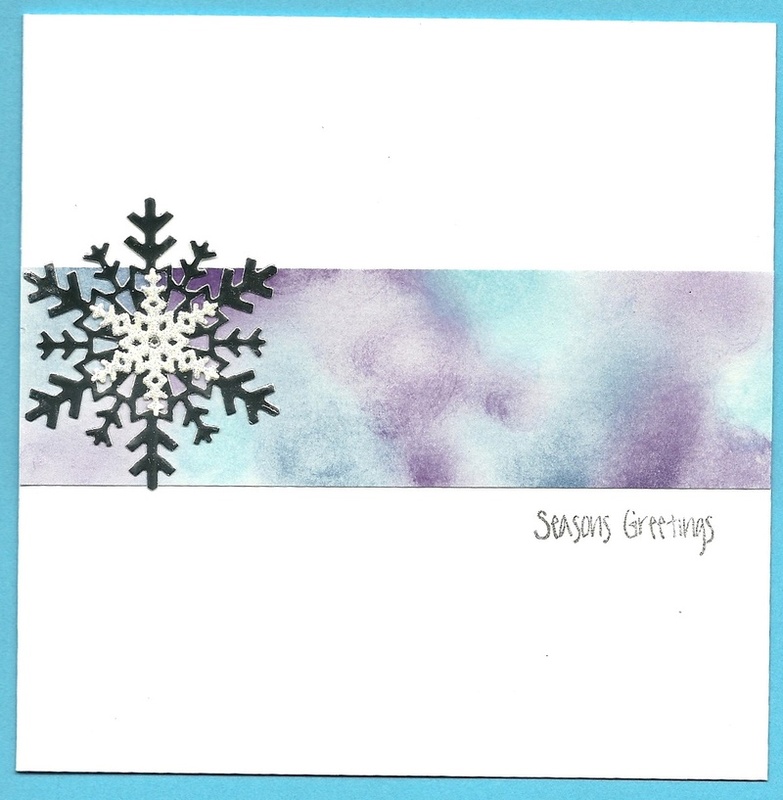 Super card, lovely words, and I love the icicle! Like Karelyn, I think the gallery would be nice, but it would mean moving over the individual comments to separate threads - I'd volunteer to do it, but it would probably need Someone With Extra Powers to do it! I'll leave it this year then, sorry. Maria's lovely card has just arrived. I'll post it later. Gorgeous card and dec have arrived here from Karelyn, will post pics later. The stamped greeting on the right says "Snowflakes....falling from heaven to earth as a soft winter's kiss" and the message reads "Dear all, I wish you a peaceful Christmas with your families. 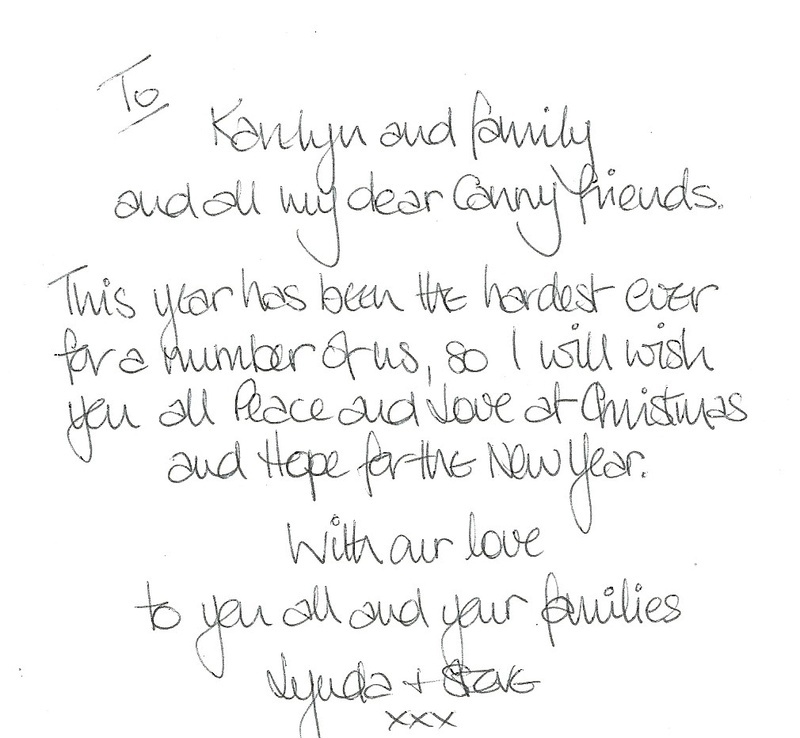 With much love to you all and thankyou for being there, Jo x". 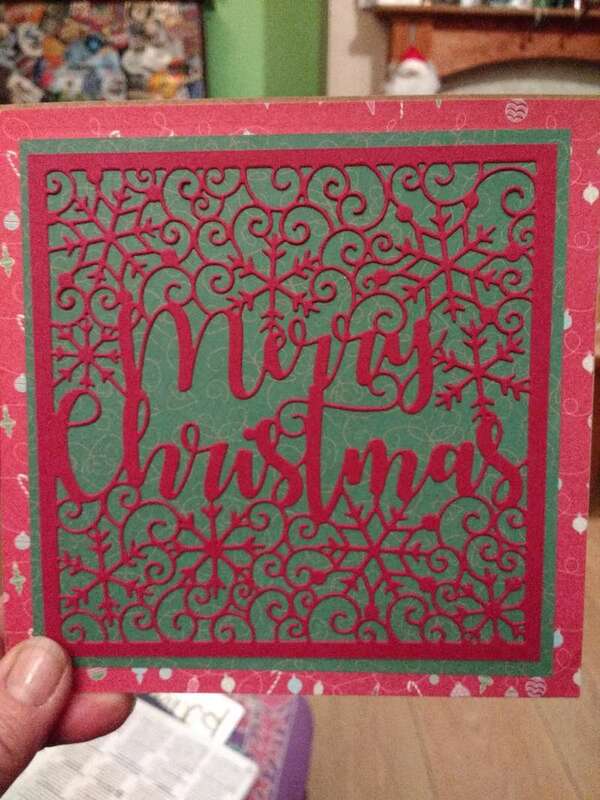 The snowflake that falls as you open the card is shown underneath. 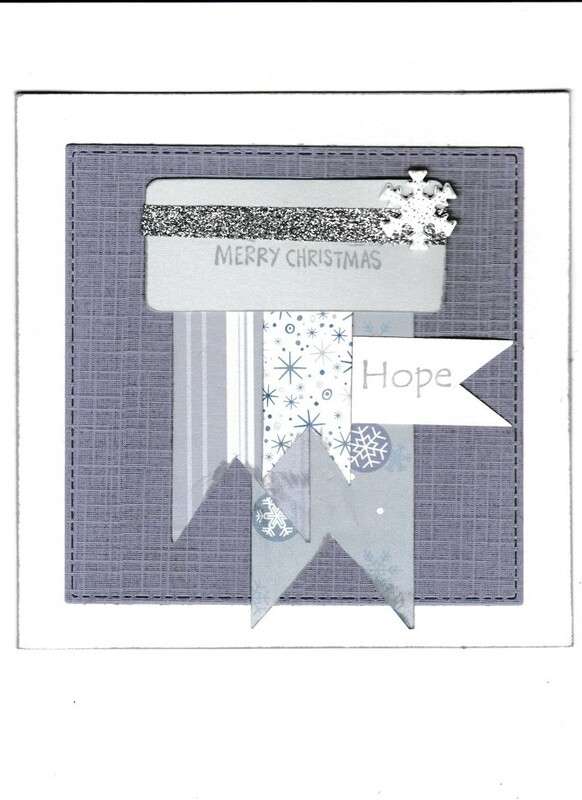 Pretty card, thanks Jo for the lovely words too. He's great, isn't he - perfect smile! yes, indeed, a lovely not quite cheeky, smile, but so friendly. 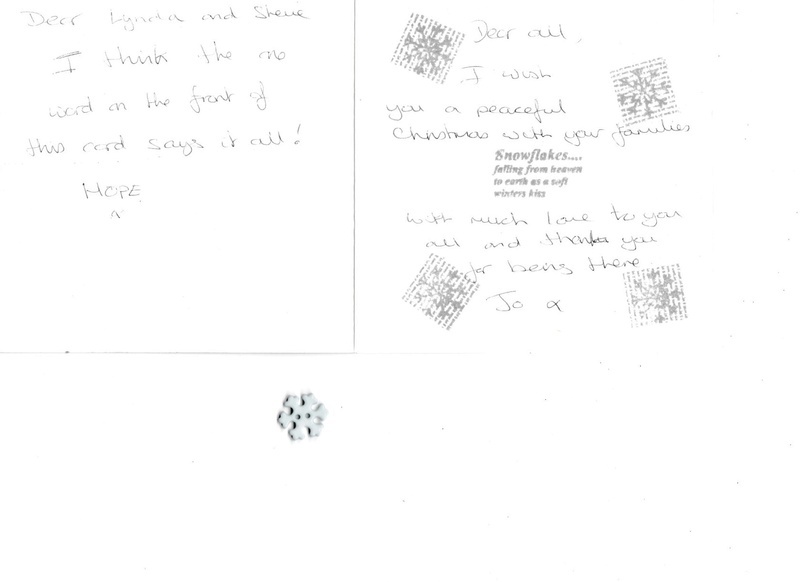 Great job Jo, and a lovely card too. 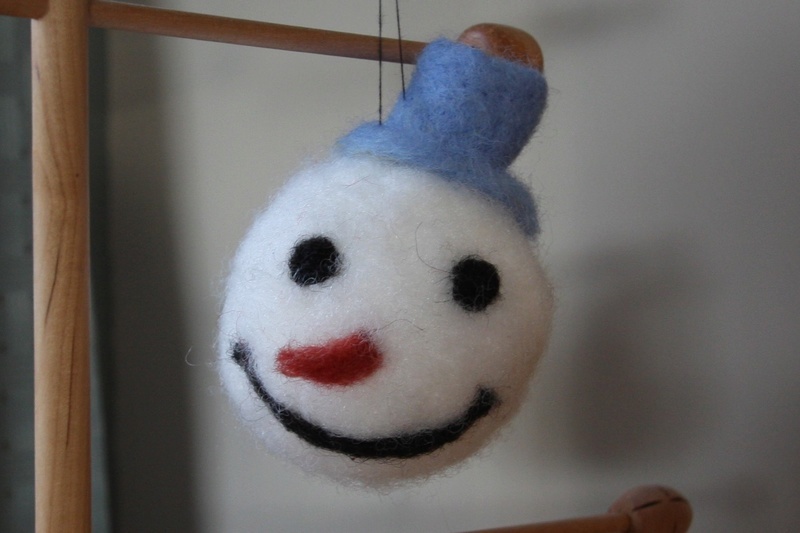 Now send the rel snow here please, Lynda did her best and sent me a big snowflake. 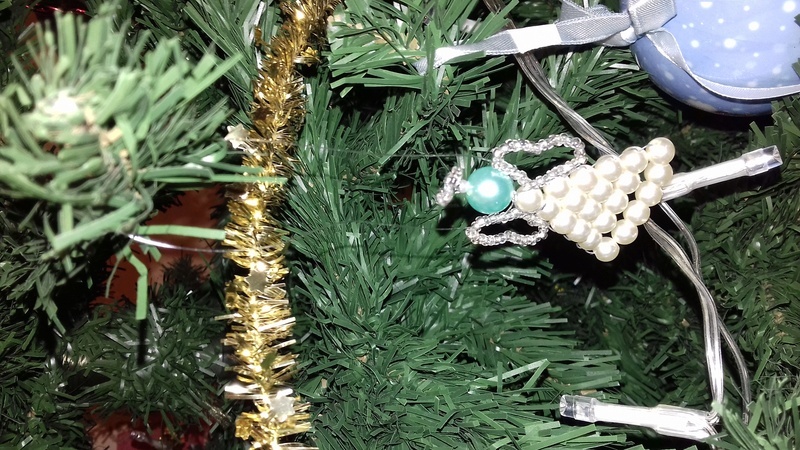 Sorry for the sideways view but having problems adding photos from my new phone, finding them on computer and showing right angle - but these are the lovely angel and tree decorations I received from Alison, and they are now hanging on our Christmas tree. They're lovely - and very different from all the usual patterns you see: wonder if Alison designed them herself. Did you get a card as well, Cath? They are cute, be nice to keep from year to year.